We know that the aluminum tread plate has a beautiful surface, but after a long time, it will be covered with some dirt, which have the bad influence on the decorative effect on the aluminum tread plate. Many experts warn that the dirt will also cause corrosion to the aluminum tread plate, so we need to clean it regularly. A rude cleaning way may damage the aluminum, so there are some skills to help you to maintain the aluminum tread plate. Firstly, the aluminum tread plate need to be washed with a amount of water, then when the dirt on it is fully soaped by the water, wipe it off with the soft cloth which is soaped in the dilution，then wash the surface of the aluminum tread plate with water, finally, the staff need to check again, the dirt that is not washed need to be cleaned one more time. Besides, we need to pay attention to the maintenance of the aluminum tread plate, rust is the main factor that influence the quality of the aluminum tread plate, so we need to take special measure when packaging it, the packaging material of the aluminum tread plate is usually wooden, it has a high requirement in the wet environment. 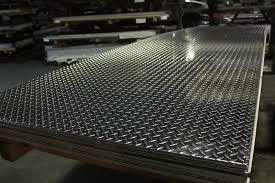 So the aluminum tread plate shall be packed in the dry packing material and put together with the desiccating agent, which can prevent the harm of the wet air and ensure that the material won’t absorb the water, so the most important thing is that never put the aluminum tread plate in the wet environment. More information, please keep close eye on the updating of the website of Haomei.